What does one do when a child gets sour? How do we lift up that child to be the happy, positive person we know they can be? First, expose the child to positive people. Hopefully, we all have a friend or friends, teachers, mentors and coaches who are so positive that they can find something good from the most miserable situation or most unhappy person. These optimists see opportunity at every turn, straightaway, start and finish. They have the ability to give feedback that is inspiring. I was recently reminded of an amazing student who fell into despair following a serious accident. The child’s parent connected him and some of his friends with a double amputee veteran who was doing great work with other men and women who were not dealing well with re-entry to society following military combat tours. The man changed the student’s perspective on life and inspired him to get back on the right track. Three cheers for the parent who went to great measures to find the right person to inspire her child. Suggestion two is an activity I learned from a Shorecrest parent. My wife leads this activity at our home. During meal time we go around the table and each person is expected to share three good things that happened during the day. This idea is found in a variety of inspirational books because it works. Focusing on the good things that have happened to us during the day increases appreciation. Knowing that we will be asked to share good news inspires us to look for good news. Hearing stories about the good things experienced by others can open our minds to good things we might otherwise miss. The third suggestion is to help the young person find an aerobic activity to do every day. The research on the positive effects of aerobic exercise on mental and physical health is crystal clear. Let me also suggest a few books. For younger children, “Spin,” “Pass it On,” “Ish” and “The Little Engine that Could” are wonderful. A few years back while at Pace Academy in Atlanta, one of my fourth grade girls wrote to Deion Sanders to invite him to school. At that time, he was playing football for the Falcons and baseball for the Atlanta Braves. Lo and behold, he unexpectedly arrived at school without any advance warning. 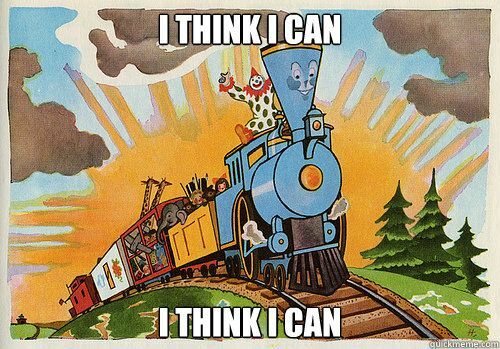 He brought with him a copy of “The Little Engine that Could” and he read it to the class. The children may have been a little old for the book, but the message was dead on - and, at least for me - unforgettable. For pre-teens and adults of all ages, Norman Vincent Peale’s “Power of Positive Thinking for Young People,” and the classic “Power of Positive Thinking” are excellent. Obviously, some situations require specific and professional support from psychologists and psychiatrists. Our counselors at school and your pediatricians are great sources when we realize our children need more than we can offer. Helping our children take on a positive perspective on life is a gift that will certainly keep on giving.